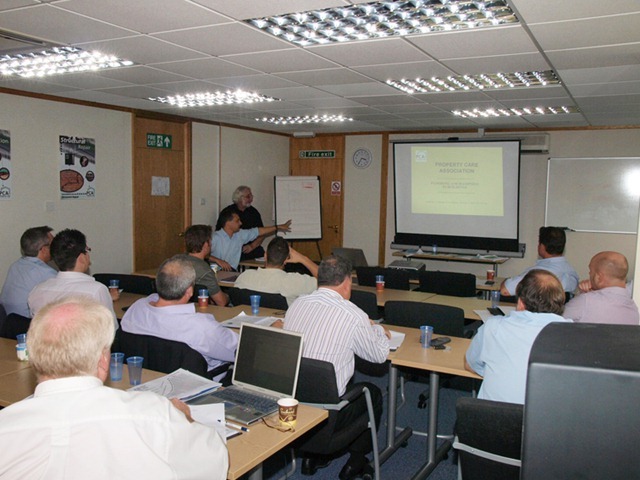 Last Tuesday and Wednesday I attended this two day course at PCA HQ in Huntingdon. Some duplication was inevitable, but really, there wasn’t much. Graham Colman, Steve Hodgson and Adam Jankowski gave excellent presentations over the two days. It’s been a long time since a room was filled with so many of the remedial industry’s most progressive firms; Timberwise; Safeguard; Wise Preservation, Guardian Preservation; a few others and yours truly, made all the speakers more than a little nervous. Everyone came away with more knowledge and an appreciation of the latest advances coming into flood remediation, flood resilience and drying techniques. Graham set the scene, with a day long session covering dampness, mould, dry and wet rot, sorption, hygroscopic salt contamination and testing methods. 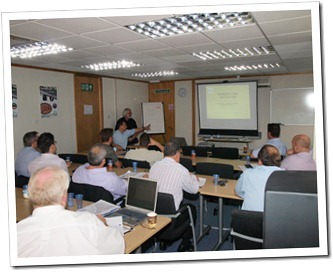 Steve Hodgson’s CPD presentation was specially extended and fine tuned, so everyone benefited. I was impressed by the PCA’s focus on the human cost of flooding; the stress and anxiety suffered by homeowners who are, in effect victims and should be treated as such. PCA members are adept at serving clients, so it is right that the core of the PCA’s approach to flood remediation is customer service, with communication being the key to success. Whilst I’m very familiar with humidity, dew point measurement and salt analysis; Adams condensed NFS presentation, on calculating the number of air changes needed to dry a given body of air to a known value, was absolutely fascinating. Cooperation between the National Flood School and The PCA has brought a great deal of expertise to bear on this subject; both organisations can learn from, and teach each other such a lot. From The PCA’s side, we learn more about the science of drying and restoration after flooding. From The NFS’s side they see how PCA members like me are able to make damp and even wet buildings appear dry and habitable – just as we do when we convert flooded basements into living space. I’ve already booked a three day course with the NFS in August and can’t wait to get started. In addition, I came away with some ideas on how I can apply new techniques to my surveys, both after flooding and damp surveys too. I’d certainly recommend this new PCA course to anyone with an interest in flood remediation or resilience. This course was the PCA’s first on this subject and is already being tweaked, following our feedback; It’ll be even better next time around.